Our extensive range of ASUS routers have been expertly developed to provide incredibly fast and fluid home entertainment performance. So whether you’re streaming online, gaming or watching a film, you’ll be able to enjoy a high-speed Internet connection without having to worry about lag. After all, when you’re immersed in your favourite game or even shopping online, the last thing you will want to worry about is connection problems and interruptions, right? 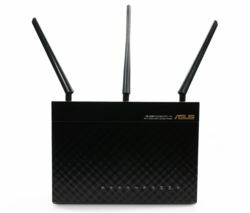 All of the ASUS routers in this range are designed to optimise home entertainment performance. This means you will be able to enjoy ultra-fast gaming, seamless streaming and world-class quality and speed. We also offer a collection of TP-Link routers, too! Capable of supporting as many devices as you want, our ASUS routers will allow the entire family to reap the benefits that come hand in hand with fast Internet capability. It also means that you won’t have to worry about speed when sharing a single connection. 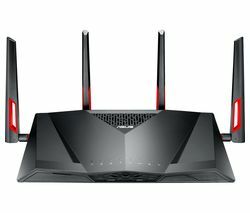 Other popular features of the ASUS router are its ability to stream in 4K and game without lag, its powerful coverage, and its handy parental controls that will allow you to prevent younger members of your household from visiting inappropriate sites. Take a look at our full range of wireless and cable router. We have all the brands you know and trust, including Linksys, BT, Netgear routers, and more.